AccuraCast SearchStarz Blog: Do you want to learn more about Google's products and services? Do you want to learn more about Google's products and services? 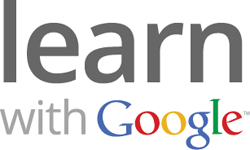 Learn more with Google Webinars! If you are interested in learning more about Google's advertising products and solutions, register for an upcoming webinar, or view recorded webinars by clicking here. Learn tips, tricks, and tools to help make the web work for you.